The only sporting goal I set myself this year. Go under 3 hours in the London Marathon. I have only run one marathon before and that was as part of Ironman UK - a day so full of emotion and joy that the pain of those last miles has been mooted. For those of you who just want to skip to the ‘how i did it part’ take a peak at my Strava profile - although this allows no reading between the lines. Just over one year since giving birth; my priorities, my perspectives and my expectations have gone through a progressive shift as described in my previous blog. 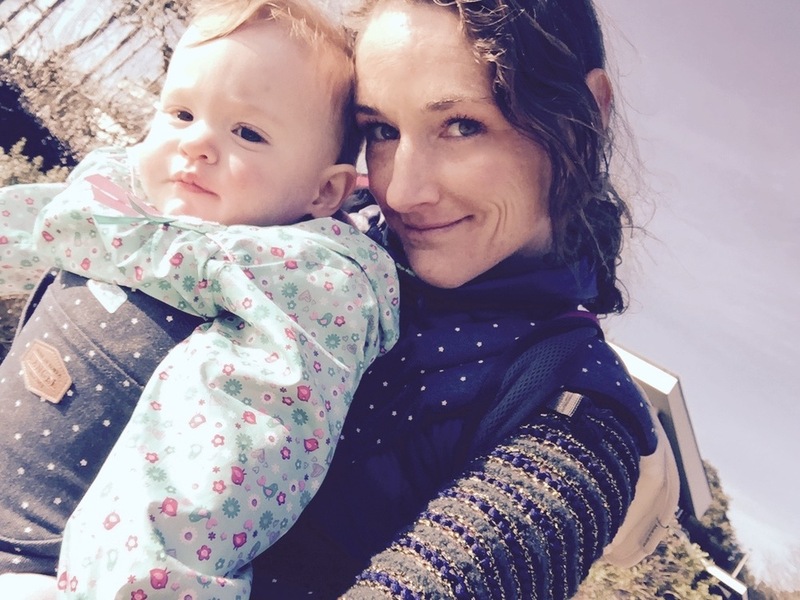 I knew when I fell pregnant that I would never return to racing as a professional athlete. I knew the toll it takes on the body and mind and increasingly i was yearning to return to medical practice and learn more about a functional medicine approach to health and healing. In pregnancy - not ‘training’ felt natural for me. Replete with pregnancy hormones designed to relax and nourish the body, I exercised daily but didn’t push myself and rested as much as I could. I had another soul to think about. Often training becomes an aim within itself - and we do not feel ‘normal’ without our daily fix. Some go even further and exercise/training becomes a form of self-harm - of distraction - of cross-addiction - preventing us dealing with whatever we would have to deal with if constrained in four white walls with no way out. Post partum - its just your head and your body again.. and hormones levels drop off precipitously and that desire to move, to run, to get a glimpse of your previous fitness, comes rushing back. Despite facing chronic sleep deprivation, warped food cravings, emotional shifts and the fact you now have a whole small human to love and care for. To start with i did as much as i could within the confines of the above. Think about how you feel after acing a race - matching or exceeding your expectations - you are already entering your next race the same night - and eager to get going with training again - often foregoing the fact you need to reflect and absorb the race you just aced. But then real life kicks in. I went through a round of career interviews just 2 weeks after Sophia was born whilst she was still in the ITU - as I was due to return to the NHS to finish my training to consultancy. I started working as a locum when she was 8 weeks old (2-3 days a week) and all the time working on my business baby www.curoseven.com in the background. I will forever be grateful to my mum who travelled from Devon to London most weeks and stayed overnight so i could rest. Sophia woke every few hours in the night until she was 10months old. I feel like i aged alot in this time! Running is simple. Put appropriate - or sometimes not so appropriate - clothing on and get out the door. One foot in front of the other. I had no training plan. I just ran and listened to my body - sometimes a plod. Sometimes i hit a 6 min/mile. I averaged around 40k a week over a 6 month period. First 1/2 mara in Richmond I ran 1.23 which is pretty much the same time as I had ran a half marathon prior to pregnancy when I was training a huge amount more - but in three disciplines. 2 months later I ran Bournemouth 1/2 marathon in 1.22 and somehow managed to win the race. The next small challenge was the Endurance Life Coastal run - 16 miles of crazy terrain along the Dorset coast line. Anyone who has completed these races will know just how brutal they can be - not just in their geometry/elevation but how commonly one faces strong opposition from howling winds and rain. It took around 2hr 20 to cover that distance but I managed to win by a fair margin - although at the time - it felt more about survival in the face of gail force winds… which i often feel are a metaphor for life. You just keep on pushing and eventually you get there. I finished strong on this day and it gave me hope that my years of endurance training were still buried in my physiology - despite not actually doing much in the way of long sessions at all at the current time. After this Dorset trial race there was a bit of a hiatus until next towed the line approximately 4 months later at The Bath Half Marathon. I caught yet another nursery bug in the lead into this race and was without voice and snuffly on the start line.. but it was a chance to catch up with two of my favourite people and athletes Claire and Dunc Shea Simmonds - a good incentive. Stunning race - wonderful support and even Chrissie Wellington showed up in her first 1/2 mara post baby (3 months?). I felt pretty blah throughout the whole thing.. it just passed in a blur and i just let my legs do the running, not actually breaking 155 heart rate. I managed a couple of near 6 min miles coming to the end, so clearly I hadn’t pushed as hard as i could, so it was reassuring to see the clock at 1.21 when i crossed the line, ahead of some super speedy girls - Vicky Gill being one. Chrissie ran a 1.25 smiling as she does most the way round. I was most impressed that she prioritised breast feeding her little one just minutes before the start. My previous coach Tom Bennett of T2 coaching always said i could run a sub 3 so that rang in my mind when out running, as did the words of my other former, and perhaps more infamous coach Brett Sutton that women didn’t need to run long regularly in order to run long well as we were naturally better at endurance. Funny how selectively biased the brain can be - esp. as 1 i didn't have the time or 2. the inclination to run high mileage. I periodically googled “how to run a sub 3”, I even downloaded the ASICS run sub 3 plan and would give it cursory glances now and then choosing a couple of the sessions, but ignoring the fact it told you to run every day pretty much and the 15mile plus runs every Sunday. I did 3 runs over 22km in the entire 8 month lead in. Vitamin C 4 x 1000mg during active illness. but stress is a potent immune-suppressant and if you’re not sleeping well - working or multi-tasking like a mo-fo it will take its toll. HRV Monitoring through an app like HRV4TRaining can help manage this and if you heed its warnings - adapt your exercise accordingly. I often question now when athletes comment on their 'fitness' being lacking. Often this is based on perceived effort for a given pace/wattage. However if you are deficient in X nutrient or running too high or too low on cortisol or testosterone or other hormones are out of whack then perceived will feel infintely higher. Additional if life stress is high and then you stress yourself further by a high intensity session - reprimanding yourself when you dont hit your numbers - it becomes a recipe for poor health long term. A bit more on this here. In the month leading into London did two of my biggest ever running weeks 70/80km. I know for runners out there this does not sound like much - but it was all quality and a lot of race pace and above race pace work. Race pace started to feel super comfortable. But the only long run i did of 30k 3 weeks out - reminded me of what happened at Ironman UK in 2014. Around the 15mile mark something starts to ache - whether the hip, the toe or just generally legs slow down - despite CV system feeling ok and not feeling low on fuel. This I have come to realise is just what happens when you are not used to running big miles. I have the endurance from years of triathlon, but not the mileage in the legs. I have however, remained injury free for the first time in years despite running consistently for a year. I put this down to the addition of some strength work - adding a heel wedge to my left shoe which has helped a chronic RIGHT high hamstring tendinopathy - and eating a higher fat, more nutrient dense diet.. and generally training less! London Marathon - The Race will be published as next blog shortly! Low Fat Lifestyle is out - The Future is FAT. One of the big things I have changed in my life this year is embracing higher fat in my diet. I have for some time avoided refined carbohydrates, except in high intensity training and racing periods and relied more on protein and complex carbohydrates. But this year, I have fought the fear of fat that, for years, the medical profession and media has perpetuated. I have not gained fat through eating fat, in fact the opposite, my body composition has improved, with increased lean body mass and reduced fat mass. My injury rate has dropped dramatically and my immune health markedly improved. In January this year I was lucky enough to talk with Professor Tim Noakes about his well published High fat, Low carb approach to health. Controversial at best, but one cannot deny the results - improved lean body mass, reduced fat mass, reduced blood sugar levels, drug free diabetes control. Prof Noakes was one of the my inspirations for setting up a company with another doctor and athlete called CuroSeven. We take a preventative approach to future health and by testing your blood work out your specific risk profile for future disease. More importantly we tell you how to reduce that risk through diet, lifestyle and supplements. Testing shows that many of us have different metabolism and thus respond differently to certain foods, exercise and medications. My second inspiration came from hearing the stories of many athletes suffering from recurrent injuries, fatigue and borderline overtraining. We can monitor certain blood markers and stop all of these in their tracks. In this interview (below) Professor Tim Noakes challenges the long held view that low fat diets help you lose weight. He also states some very eye opening facts. "80% of the chronic ill health that we treat has a nutritional basis". "Drugs just palliate the condition"
"No good evidence that Statins are going to help you, especially if you are a woman"
"Within 6months of being born we introduce our children to high carbohydrate diets, and the obesity trajectory starts there". "Carbohydrates promote inflammatory change in the body"
"Find your sweet spot for carbohydrate intake - an optimum (not maximum) carbohydrate intake for sport that allows you to Perform best but also your leanest. Most shouldn't require more than 200g/day (endurance athletes).